Click on a print to find out more. 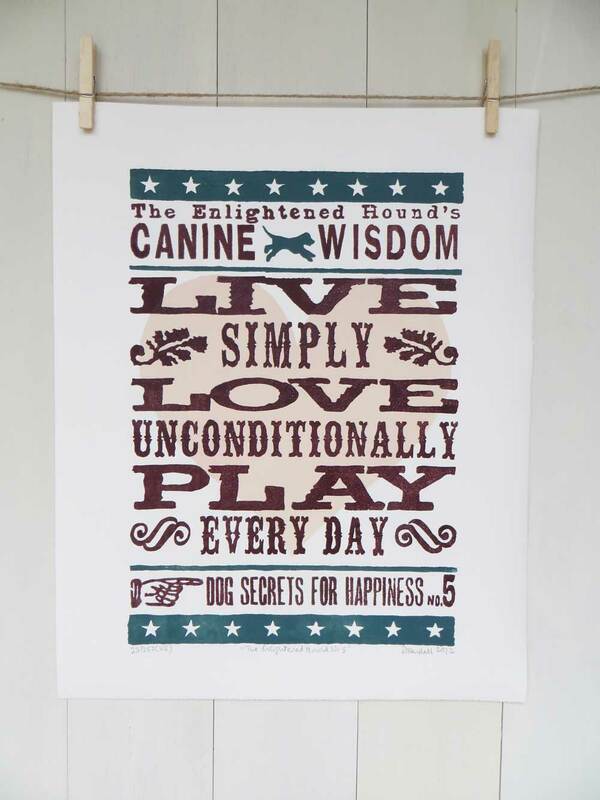 The Canine Wisdom prints are a series of inspirational typographical lino-prints that celebrate the principles dogs instinctively follow for a simple, happy life. 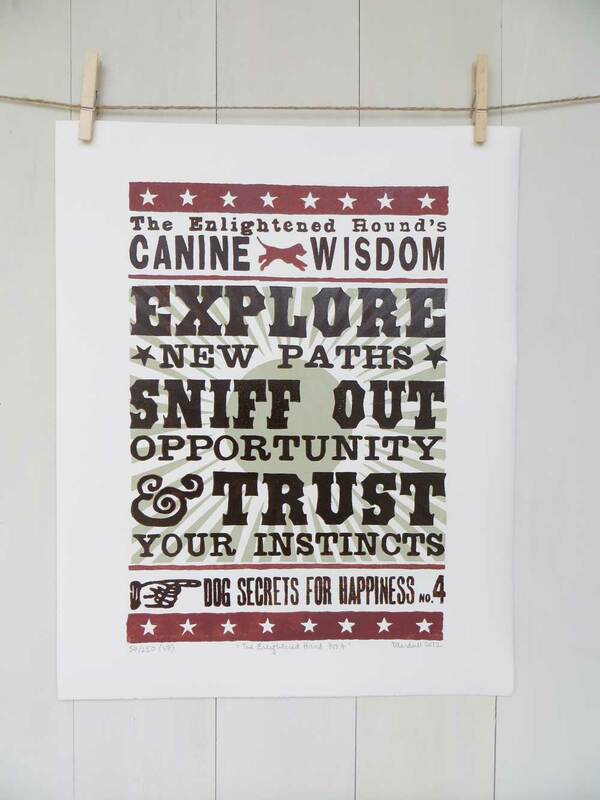 These dog sayings are an original hand-crafted reminder to their human owners of the joy that comes from following the ‘way of the dog’. 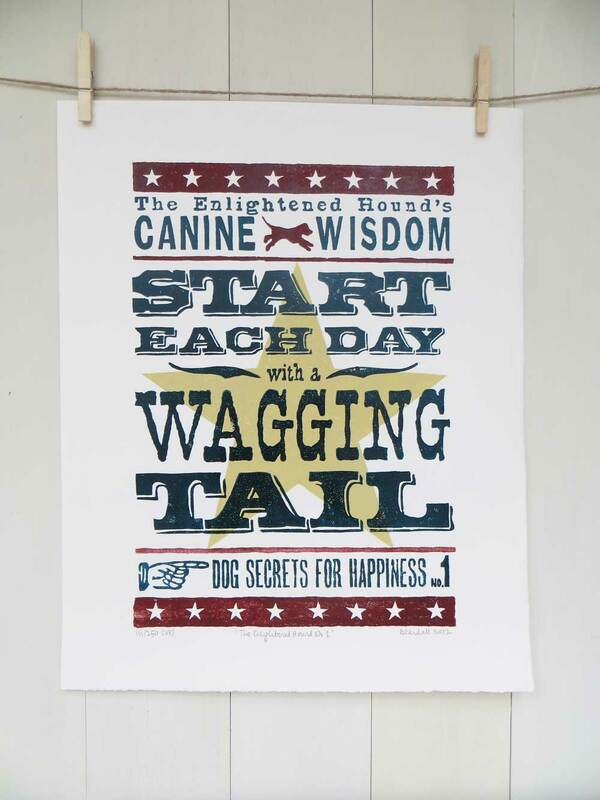 The prints use authentic fonts from original Wild West and US Civil War posters. 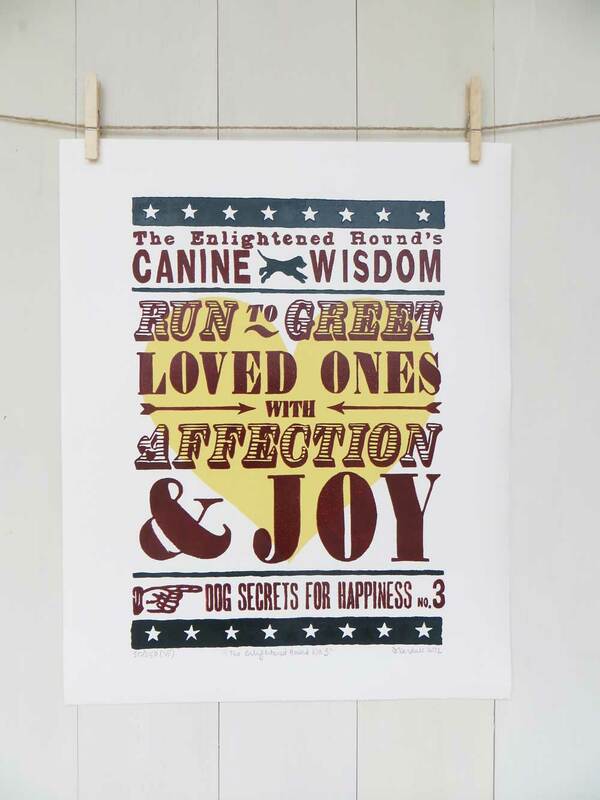 The letters are hand carved onto lino printing plates, then each print is individually hand-printed on acid free archival 170gsm paper with traditional linseed oil inks, using hand-mixed colours, inspired by the American Colonial era. 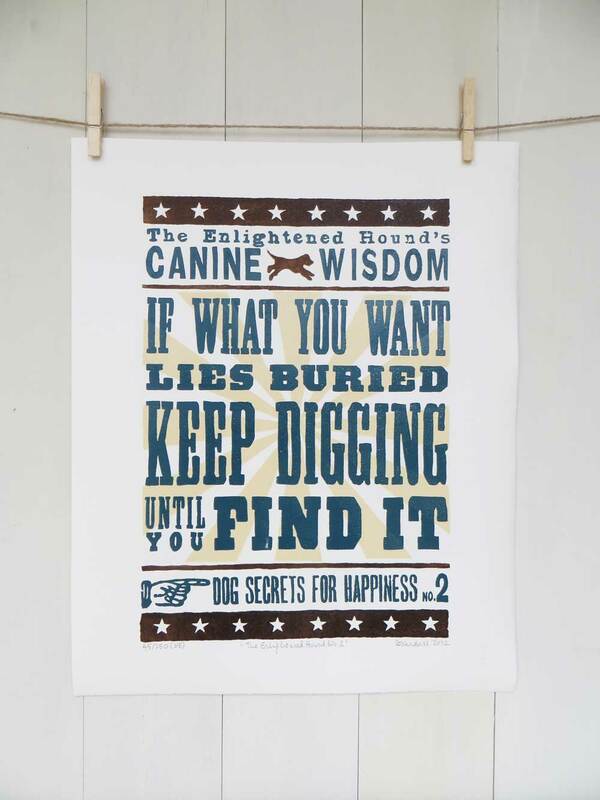 The vintage style, slightly distressed lettering and the typographical style is reminiscent of old Wild West Wanted Posters and 19th century American Show Posters.